The Boxing Schedule exclusive for Filipino Boxers as of October 2013 in the Philippines. Big or small boxing events for this 2013 schedule exclusively in the Philippines. The title and non-title fight events of the Filipino boxers including their countrymen of foreign opponents such us Mexican, American, Japanese, Indonesian, Korean, Thailander, and any boxer with their country around the world that are scheduled to fight here in the Philippines will be updated here from time to time. By this time, we will give you updates on all fight schedule of boxers for this month of October until the end of the 1st week of Novermber 2013. So, to all Filipino boxing fanatics who wants to watch pure entertainment and live boxing that only happen in the Philippines, then, you can visit this page from time to time as this page will be updated from month to month and is subject for the changes being made. Filipino boxers who are fighting abroad are not included in this fight schedule. Niero Saldon vs Ernie Mino Jr. 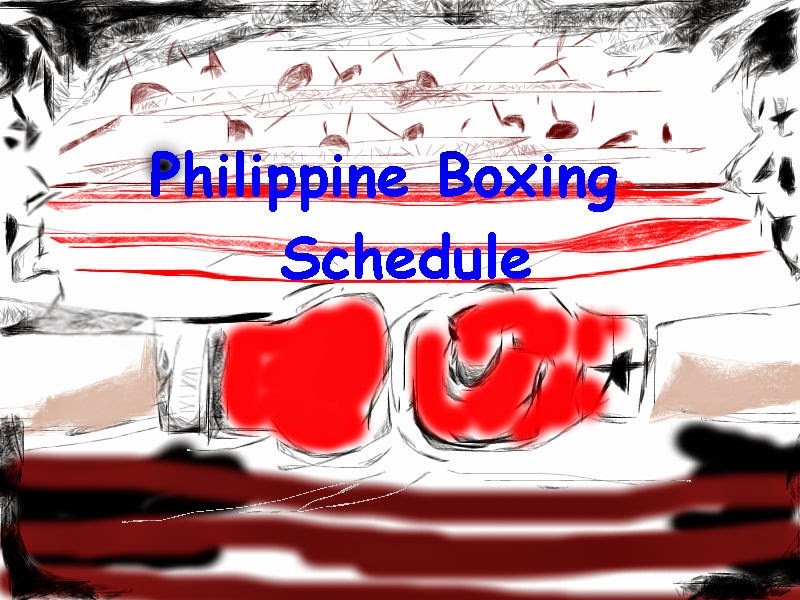 In relation to - Filipino boxers and their schedule in the Philippines August 2013 boxing schedule on Pinoy Pride boxers. Boxing events for non-title fight in the Philippines, boxing schedule Philippines, Pinoy boxers scheduled to fight in the Philippines August 2013, latest updates and schedules of boxing events and fights only in the Philippines, complete and final schedules of Pinoy boxers in the Philippines with results and fight replay.